On North Korea, impulsiveness, ignorance, towering ego, and a deeply insecure man’s weakness for flattery have led President Trump into a trap of his own making. It remains to be seen how he, and by extension the United States, gets out of it. Act I: Trump impulsively agrees to meet North Korean dictator Kim Jong Un. Perhaps unaware that the North Koreans have sought such a summit meeting for decades, Trump boasts that he has extracted a major concession. Act II: Trump gradually comes to appreciate that he has been duped. To prove that he’s a winner, not a fool, he begins to oversell the summit, promising that the denuclearization of North Korea is at hand. Act III: The North Koreans issue a public statement refuting Trump’s boasts. No, they will not denuclearize. And oh, by the way, it’s Trump who must pay tribute to them, not the other way around: If he wants his summit, he should cancel joint U.S.-South Korean exercises. We’re in Act IV right now—and Act V has yet to be written. Kim has made clear that the expectations created by Trump – that North Korea will agree to complete and independently verifiable denuclearization – are never, ever, going to happen. So what crumbs will Trump actually accept in order to try to spin failure into something more than what it is? An end to North Korean nuclear testing? Kim has already offered that. After all, having successfully developed their weapons, actual tests are no longer necessary to continue to build out North Korea’s arsenal. And more importantly, what will Trump give up in order to walk away a “winner” from the summit scheduled for June 12 in Singapore? An end to sanctions? An end to US-South Korean military exercises, something North Korea has wanted for decades? An announcement of partial withdrawal of US forces from the Korean Peninsula? A promise of a complete withdrawal? 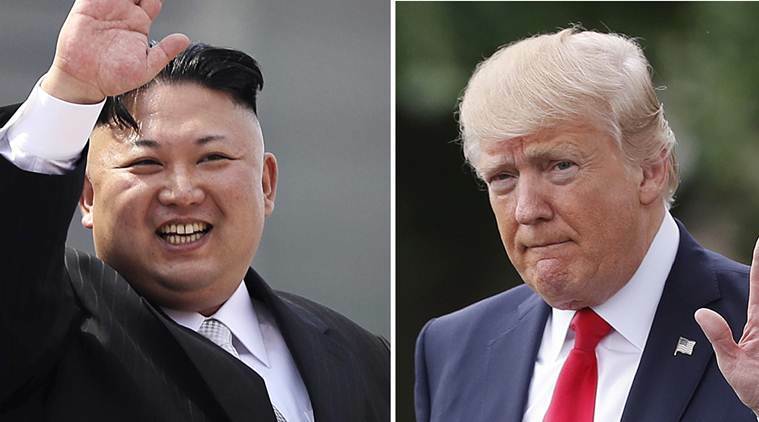 With just one month until a scheduled sit-down with North Korea’s leader, President Donald Trump hasn’t set aside much time to prepare for meeting with Kim Jong Un, a stark contrast to the approach of past presidents. “He doesn’t think he needs to,” said a senior administration official familiar with the President’s preparation. Aides plan to squeeze in time for Trump to learn more about Kim’s psychology and strategize on ways to respond to offers Kim may make in person, but so far a detailed plan hasn’t been laid out for getting Trump ready for the summit. And this is a problem, because even a seasoned, skilled diplomat would have a hard time playing the cards that Trump has dealt himself. Of course Trump is neither of those things. And having walked away from the nuclear agreement with Iran, which in all honesty offered the same basic deal on the table with Kim, significant economic benefits in exchange for giving up nuclear ambitions, Trump has made it all the more difficult to come out of a North Korean summit a winner.